NaNoWriMo is over and we’re into December. And what better way to celebrate the holiday season than with a give away? Win books, a $50 Amazon Gift Card, or other fun prizes both through the group rafflecopter below, and a special give away of Karissa Laurel’s . Find details about both below! What happens when 14 of the best authors on the planet get together just before the holidays? We start giving stuff away. From November 29, 2017 through December 12, 2017, we’ll be featuring a Rafflecopter for you chance to win a signed book of your choice, an e-book of your choice, or a $50 Amazon Gift Card! 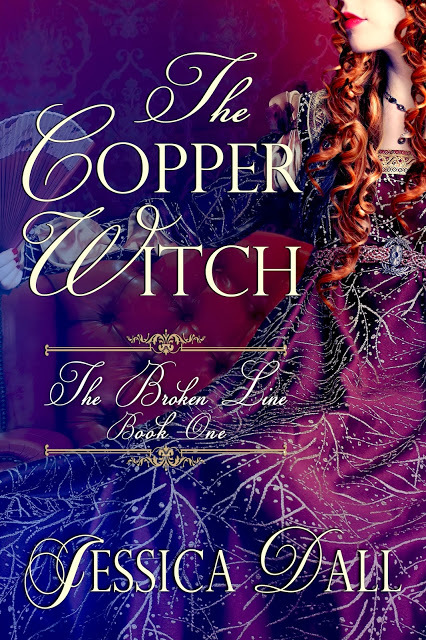 ALSO, each of the authors above will be featuring the giveaway on their Facebook pages, Twitter accounts, newsletters, blogs, and wherever else they can think of and you could win there, too! So follow all of them on Facebook for even more chances to win books, swag, and other great prizes during this pre-holiday giveaway. When the police notify Solina Mundy that her twin brother, Mani, is dead, she heads for Alaska. Once there, she begins to suspect Mani’s friends know more about his death than they’ve let on. Skyla, an ex-Marine, is the only one willing to help her. Happy June 28th, or as we’re calling it around my house, release day! 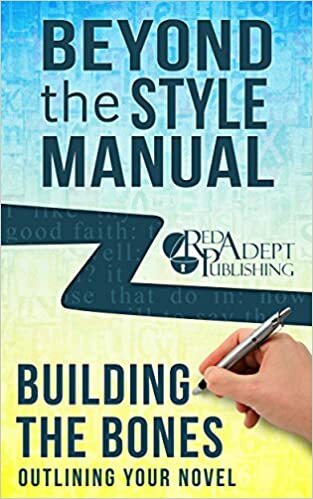 I’m very pleased to announce my new style guide, Building the Bones: Outlining Your Novel, (part of the Red Adept guide series: Beyond the Style Manual) is now available! Whenever I’m teaching a writing class, I try to make the point that there is no “right” way to write. If you need a binder full of notes before you start writing, that’s fine. If you want to jump right in and see how far you get, that’s fine as well. In perhaps the least sinister use of quoting Machiavelli, the end really does justify the means when it comes to writing. If you end up with a good completed manuscript, it really doesn’t matter how you got there. When I first started writing, I was a die hard “pantser” (i.e. someone who “flies by the seat of their pants” and just starts writing with no outline). If someone had told me back then that I would one day be the one writing a “how to” guide on outlining, I would have told them they were crazy. After over a decade of learning to better my writing/developing my style, however, I’ve found myself stretching across the full range of outlining styles (from the basic character-goal-obstacle outline to a full scene-by-scene) depending on what each story has demanded. Though I still tend to fall on the less outline than more side of things when working out my novels, having done just about everything in the name of working out a story has allowed me to pick up a number of outlining techniques that can help nearly any writing style–so perhaps having pantser instincts actually has made it easier to write a how to guide than someone who has always used the same kind of full outline. So, no matter your writing style, if you want to write a novel and aren’t sure how to get started or are generally a pantser but keep finding your novel fizzling out before you can get it finished, consider picking up Building the Bones. Hopefully all my years of floundering around will save you a little trouble. Do you have a story you’ve always wanted to write, but weren’t sure how to begin? Have you tried pantsing and floundered, unsure how to finish your novel? Learning the simple basics of outlining can help you plot with confidence. This instructional guide booklet covers the easy, straightforward techniques you need to plan your story before you write. These guidelines will aid you in organizing your ideas no matter what genre you write or what age group you write for. Whether you use paper or a computer to plan with, these outlining concepts will help you navigate the unknowns of your imagination so you can bring your story to life. The day is finally here. Raining Embers is now available in ebook! (Paperback coming soon*). Palm er Tash always follows the path of least resistance. He has an unusual disability involving his hearing. But in theocratic Latysia, being different isn’t a good thing, so he conceals his problem. *Interested in Paperback? Sign up for the Jessica Dall Newsletter to be the first to know/receive the chance to purchase an advanced, signed copy. In the near darkness, the frightful sound of shouting people and clashing swords echoed around the wooden book chest. The battle raged on outside even as the city burned. The little girl curled up more tightly, too afraid to leave the relative safety of her hiding place. Voices rose and fell, some familiar, some with accents she’d never heard. A man cried out, but the cacophony swallowed the noise before it could finish. Smoke began to filter into the cracks of the chest, turning the air thick, hazy. 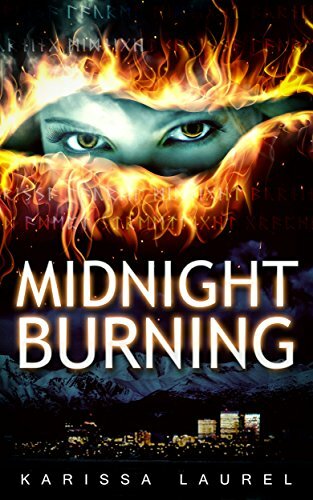 The girl swallowed, blinking too quickly as her eyes burned. Her father had been gone by the time she had made it through the havoc to the library. But he had to come back. He was always in the library. Day or night, she could always find him there. Even in all of this chaos, he would have to be somewhere. The smoke grew thicker, the heat of it making the girl’s lungs burn with each breath. Her head swimming, she couldn’t wait anymore. She pushed the chest open with the soles of her feet, and a fresh wave of smoke rushed in at her. Mostly by feel, she climbed out, trying to find something familiar, some landmark to show her which way to go in the fiery nightmare. Spotting a patch of lighter smoke, she crawled forward, the normally cool marble of the library floor scorching. Something creaked. A beam fell, blazing, in front of her. The air shimmered with heat. She had to stop, her mind too sluggish to find another route. The smoke attacked her, working its way inside her lungs. Her heart tried to race but couldn’t manage. After a few more inches forward, her body failed, refusing to move. Her eyes fluttered shut, firelight dancing on her eyelids. Darkness descended. The haze turned to black, nothingness racing in on her. Palmer’s eyes flew open as he jerked back to reality, the burning library replaced by the dark classroom under the temple. Shaking his head, he focused on the fire in the center of the ring of acolytes’ chairs. Certainly, learning this type of divination could have waited until winter. With summer at its height, they might as well have been in an oven with the entire class of acolytes packed inside the windowless room, along with a fire pit. Between the heat and the smoke, even he was going to start thinking he was having “visions,” as the Seers wanted them to believe. Fire, battle, and little girls indeed. Perhaps their classes were truly a study in mass hallucination. “Um… a bird?” One of the other acolytes’ voices clicked somewhere in Palmer’s head, his bizarrely focused hearing jumping from the crackle of the fire to the boy’s words. “What kind of bird?” the Master coached, standing behind Danilo Danati as they both stared into the accursed fire. Palmer rolled his eyes and looked back at the fire. A log broke, and the voices disappeared, giving way to the new sound. In any other class, Palmer might attempt to force his mind to focus, to accept that the words were what he should hear over any other sound in the room. After being forced into an oven to learn more about false prophesying, however, he was inclined to filter out whatever imagined bird Danilo and Master Franco were discussing as background noise. Since he had to live with the odd affliction of being able to hear only one sound at a time, at least he could use it to his benefit now and again. A buzz arose as more and more acolytes debated. Palmer let his mind filter it all out as he wiped at the sweat attempting to trickle down the back of his neck. Unhappy groans resonated around the room, but no one debated, packing up their books. Palmer couldn’t escape that sweltering room quickly enough, shoving everything into his own sack before moving out into the maze of passageways beneath the temple and toward his little cell. Palmer couldn’t decide if the underground complex was a blessing or a curse during the summer. Generally cooler than upstairs—when the Seers didn’t light blazing fires in some weak attempt at fortune telling—the dampness in the air always soaked into the cells below the temple floor, the rooms flooding if the rains came too long or too often. He had long before put everything in his room on stilts, trying to save what meager possessions he had from rotting. Pulling his cell’s door open, he stepped into the small space, barely looking around as he dropped his bag on the cot and pulled out his spare set of robes. They were slightly soiled but at least not soaked through with sweat. “It’s open,” Palmer answered, pulling the damp brown robes off over his head before spreading them over the small desk. They wouldn’t likely dry fully in the musty cell, but at least they wouldn’t likely mold, either. Releasing a breath, Palmer took a seat on the low stool in front of the desk, readying himself for the familiar exchange. After six years, Palmer could nearly do both parts. The subject always changed, of course, but it seemed Egidio Dioli had yet to find any part of being an acolyte that suited his skill set. Palmer had to imagine that if Signore Dioli, semiprosperous merchant, hadn’t managed to scrape together full room and board, his son would have long been ejected from study at the Church. “Give it here.” Palmer motioned toward Egidio and picked up his own stub of a pencil. Palmer nodded, not feeling the need to bring up the fact that he had finished while still in class. “Lucky for me, or I’d be out on the street.” Palmer shot Egidio a look before scanning the chart, looking for errors. Palmer waved the apology away, rubbing out a few wrong marks with his thumb before replacing them. Even if Egidio had the tendency to end up with his foot in his mouth, he never truly had a bad thing to say about Palmer’s circumstances. Maybe that had allowed them to become friends in the first place—Egidio, the talentless son of a family who could barely afford to keep his place; and Palmer, the parentless Ward of the Church who had managed to stay on when most of his peers had aged out, through some combination of dumb luck and an innate talent at astrology. Compared to the grand—or at least wealthy—families most of their classmates came from, Palmer and Egidio were only slightly better than the beggars who wandered around the slums by the river, well outside the walled complex that was the Augarian. Palmer pressed his lips together as he recalled one of the mistakes he hadn’t corrected on Egidio’s chart, for the sake of believability. A potential solar eclipse, not that far away. The Seers were going to have a field day. Do: Try to start close to the inciting incident or, to put it another way, “on the day everything changes.” While several scenes of your character going about their life might be helpful for you as a writer, following a character wandering around with no sign of a plot starting isn’t very exciting for the reader. Don’t: Start a scene and then fall into an info dump. Just as bad as starting too early is coming in close to the inciting incident and then spending pages 2 through 5 telling the reader everything that’s happened in your character’s life leading up to that point (or even just what’s happened the past few days that aren’t “the day everything changes”). Try to draw readers in with something happening in the present before stopping the plot to tell them a bunch of information about characters they don’t yet have any reason to care about. Do: Start with action. Do your best to find something happening that will interest your reader immediately. This might be dropping into a conversation, your character taking a test that will make or break their schooling, or the beginning of a car crash. If it’s some sort of action that the reader can immediately connect to, you’re in good shape. Don’t: Begin with your character waking up (or perhaps being chased). Connected to above, while it’s tempting as a natural start point, your character waking up is not a great start to a story–mostly because (unless your character is waking up to someone attacking them or something similar) there isn’t much to draw the reader in. Everyone wakes up in the morning (at least everyone in your reading audience likely does). A character waking up and getting ready for the day is generally mundane. On the opposite side, the first instinct many writers have when they hear “start with action” is to start with the main character being chased by something. Those openings can work if done well, but they can also easily feel overdone as they are so commonly used. Do: Remember everything can be changed in editing. If you start too early or too late, if you start writing and then realize that that opening scene is rather, well, boring, you can always change it after the fact. For my novel, Raining Embers, coming out in November, I changed the opening twice myself and another time with my editor. Starting in general is more important than starting perfectly. After all, you can’t edit a blank page. 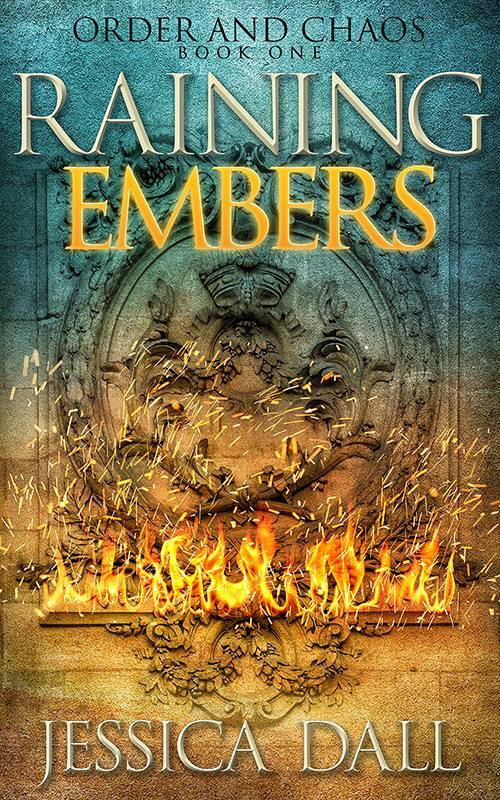 Read an excerpt from Raining Embers–coming November 3, 2015–here. Happy Day 6 of NaNoWriMo. Hopefully it is going well for everyone participating–and even if it’s not, the month is still young. An interesting fact, I have to say, that I have found as an editor is that many new writers gravitate to first person. Whether if it’s because it feels more natural to tell a story as “I” or just a quirk that makes it more popular, I’m not sure. Before I go on, I want to say there is obviously nothing wrong (or inherently inferior) with using first person for narration. First, Third, and even Second person all have their place depending on what kind of story someone’s telling. It’s all about what works for the book. The problem many newer writers writing in first person have, however, is that pesky pronoun, “I” cropping up over and over again. As the narrator is “I” in first person novels, there is obviously no way to fully remove the word from your writing (nor should you try to). What you can do, however, is find some ways to cut down on the repetitive: “I [verb]. I [verb]. I [verb]” sentences, which make “I” feel a little too front and center. I saw the car turn down the street. The car turned down the street. As everything in a first person narration is being related by one person, the reader can assume everything happening is being seen by “I” It is perfectly fine to remove the “I” from these sentences to cut down on repetitiveness. By joining the first two sentences, and starting with a verb, you don’t fall into that repetitive structure. You also lose one of the “I”s being used. By switching the last sentence to remove the narrator from the action, the third is gone, leaving the remaining “I” feeling much less noticeable. As with anything in writing, don’t take these tips to an extreme. If you have a section that works very well with “I [verb]. I [verb]. I [verb]” you don’t necessarily need to change it. If things start feeling repetitive, however, or “I” begins to feel overused, see if you can use these two tips to make things a little less awkward. 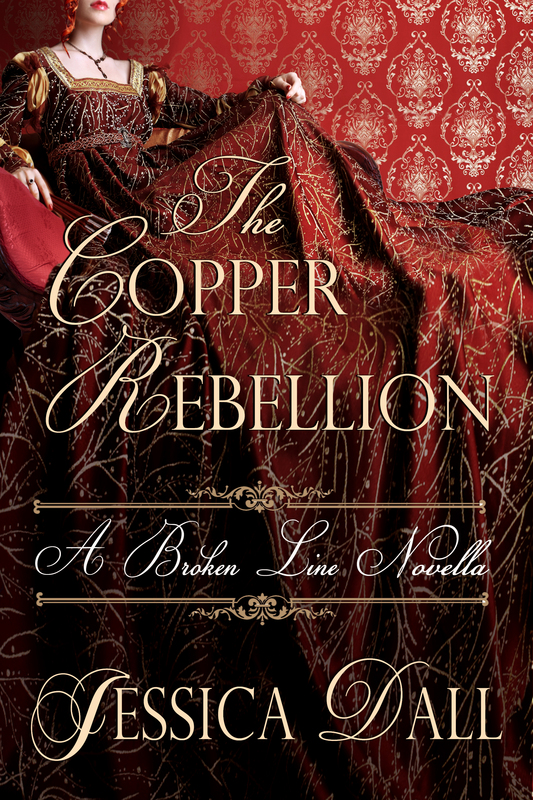 News Alert: Broken Line novella, The Copper Rebellion, is now available to buy for only $0.99 or receive it for FREE with newsletter sign up. Find out more here! 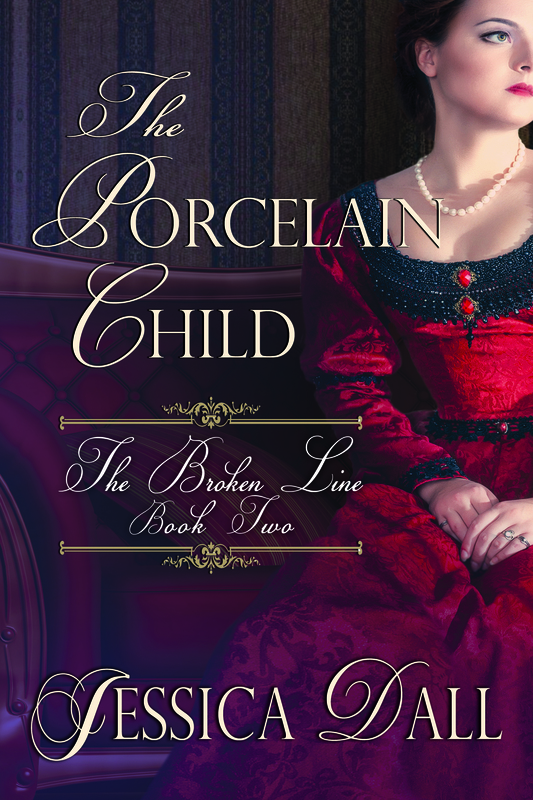 The porcelain a little chipped, Mary still recognized the woman in the miniature. There were enough pictures of her around, after all. Mary supposed she shouldn’t be surprised to find it amongst the small box they had sent her of Richard Seymour’s affects—even as the parliamentarian he was. Queen Adela wasn’t a symbol of monarchy, after all. Even after everything, she was still the romantic heroine. And Mary supposed it likewise wasn’t surprising the surviving Seymours had sent it to her. Mary hadn’t received much from Richard Seymour’s estate—she hadn’t expected to—but it seemed to be the logical conclusion for someone going through Richard’s things to send a picture of Adela Tilden to her daughter. Mary couldn’t imagine the remaining Seymours would have much love for Queen Adela themselves. It was likely they would send it to Aberfirth or use it for target practice. Touching the gold filigree around the little portrait, Mary finally set it down. Of all the portraits Mary had seen, this one didn’t look the least familiar. Adela couldn’t have been much more than fifteen in it. A rare portrait from before her short reign as queen, when she had been a baron’s daughter living so far north she was barely on the map. Still, looking down and off to the side, as if the viewer were below her interest, the picture still seemed bizarrely fitting—as though she already considered herself the viewer’s better, far before she had the right to. The door opened, then slammed shut. William rested back against it, breathing heavily. Motioning for her silence, William winced as someone knocked. He looked at her, mouthed, Help me. Giving him a suspicious look, Mary moved forward all the same, letting him hide behind the dark wood as she pulled the door open. Mr. Johnson didn’t move, hands clenched. A head shorter than her and red as a beet, he still somehow remained intimidating. Even while dripping on the hardwood. Mary looked at him, unmoving, daring him to call her a liar. “If you’re wanting to catch him, sir, you should likely keep looking,” Mary finished. Another tense breath, and Mr. Johnson bowed shallowly at the waist, stalking off as his wet shoes squeaked after him. Mary looked at it silently, allowing William to change the topic. Mary made a face, standing to pick up the box. She just flicked her eyes over him, pulling herself free before she moved the box to the ground. A well placed kick and it slid out of sight. “It’s hardly a bad thing.” Mary pressed her lips tightly together. He nodded, his blue eyes drilling into her. “I still think you would have made a great queen, May.” William smiled. William’s eyes stayed on her, but he didn’t argue. Fair and tall as he was, Mary had to admit William had grown into a handsome man from the gangly ten year old that had shown up to stay eight years ago. She froze, the nature of the thought registering, making heat rise to her cheeks. “You are beautiful, you know that, May?” his voice cut in before she could recover. Mary’s body tensed, the odd sense he had read her mind too jarring. “And I would give anything that I weren’t.” She rubbed the side of her face quickly, dropping her eyes. His eyes stayed on her another moment before he stood, holding her chin. She looked up, breath catching in her throat as he held her eyes. “Seymour claimed you as legitimate,” William argued. “I don’t know if I’d say that.” William turned to face her. “Every royalist who lost the last one does,” she returned, face serious. “Are you certain of that?” She held his eyes. “Life is serious.” She didn’t look at him. “It can also be fun,” he said. “So you always think,” she said, knot still tight in the pit of her stomach. 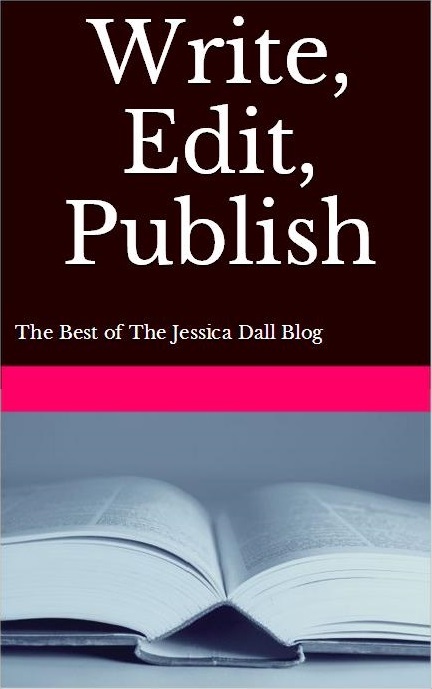 Write, Edit, Publish includes some of this site’s most popular blog posts compiled into a downloadable eBook, covering everything from staring with a blank page to working on getting a manuscript published.